Julianne Hough & Brooks Laich can't keep their hands off each other at friend's birthday party -- see pics! Things are really heating up on the blue team. 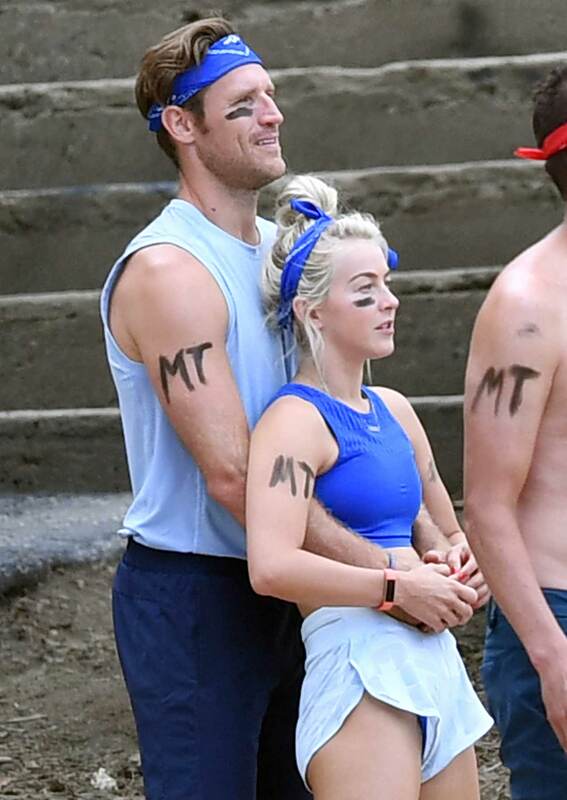 Julianne Hough and husband Brooks Laich were spotted sporting major PDA at a friend's weekend birthday retreat in Big Bear Lake, California -- the "A" in this case standing both for affection and athleticism. Hough and Laich were both on the blue team for the various outdoor activities, which at multiple points found the Dancing With the Stars pro and NHL player getting into each others arms, and up close and personal. An eyewitness tells ET that some of the activities including boulder jumping, swimming, an egg relay race, and a good old fashioned water balloon fight. Why can't this be all birthday parties?? Meanwhile, it's good to see the newlyweds are still fully enjoying their honeymoon phase after getting married on July 8.